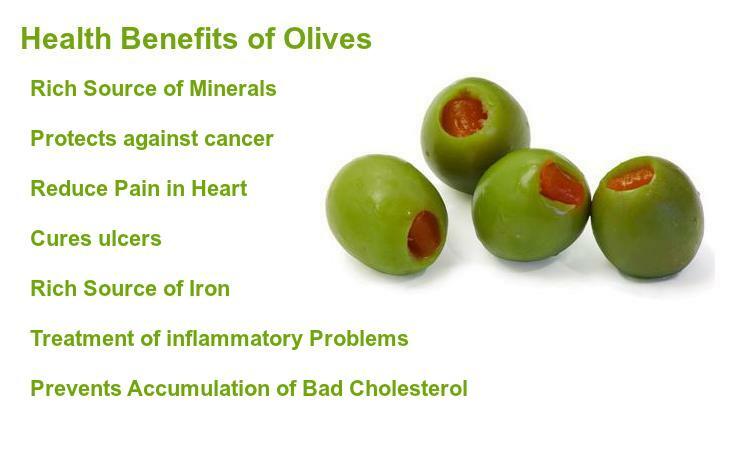 They not only taste great, but the monounsaturated fats, vitamin E, and polyphenols found in olives help provide you with anti-inflammatory protection. Olives are a very good source of copper and a good source of iron, dietary fiber, and vitamin E. Olives not as fruit but as a zesty vegetable that can be added are harvested in September but available year-round to make a zesty addition to salads, meat and poultry dishes and, of course, pizza. Olives are too bitter to be eaten right off the tree and must be cured to reduce their intrinsic bitterness. When selecting olives from an olive bar, you’ll often be faced with a wide variety of color options and textures. It’s not uncommon to find color varieties of olives that include green, yellow-green, green-gray, rose, red-brown, dark red, purplish-black and black. It’s also not uncommon to find several different textures, including shiny, wilted, or cracked. 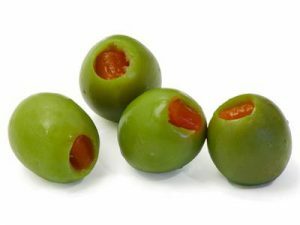 The size of olives may range from fairly small to fairly large or jumbo. Each of these options among olive varieties can provide you with valuable health benefits. Olive fruit contains tyrosol phenolic compounds such as oleuropein and oleocanthal, they contain good amounts of minerals like calcium, copper, iron, manganese, and zinc. Further, they are small sources of B-complex vitamins such as niacin, choline, and pantothenic acid. The antioxidant and anti-inflammatory properties of olives make them a natural for protection against cancer because chronic oxidative stress and chronic inflammation can be key factors in the development of cancer. They protect against colon, breast and skin cancer. Olive oil is good for your heart. They work to reduce pain. Olives and olive oil protect against ulcers. Eating olives will help to boost your iron intake. In traditional herbal medicine practices, preparations from olives and olive leaves have often been used in treatment of inflammatory problems, including allergy-related inflammation. Olives are packed with antioxidants, says Parthenon Kotzekidou, PhD, professor at the Aristotle University of Thessaloniki in Greece. “My research shows that olives are a good source of biophenols,” a kind of antioxidant that prevents the accumulation of bad cholesterol in artery.